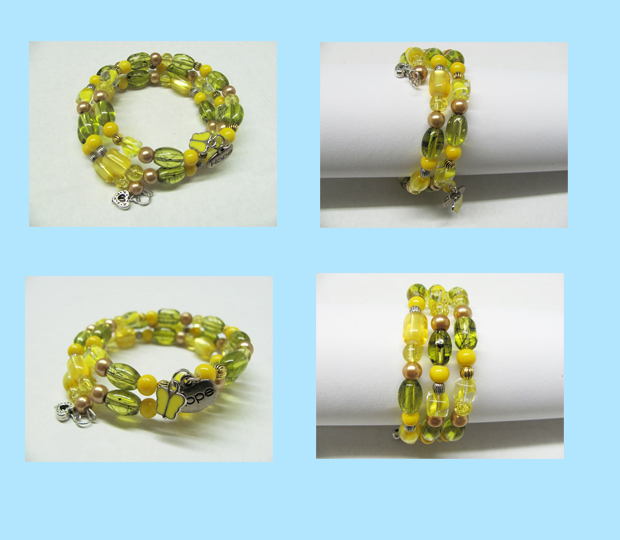 Spring is almost here and I make a memory wire bracelet for that. This is really yellow and the green together. I like the color its very bright and happy color. Hubby once told me about how color is important to all of us. Well, if you like this bracelet just tell me. Thank you.